Moraga Estate is located in the middle of Los Angeles. It's in Bel Air to be exact. And don't worry, I'll spare you the eye roll and not make the obvious joke about that 90's sitcom. The land that would become Moraga Estate was a horse ranch when it was purchased by Ruth and Tom Jones (the CEO of Northrop Grumman and not the singer) in 1959. 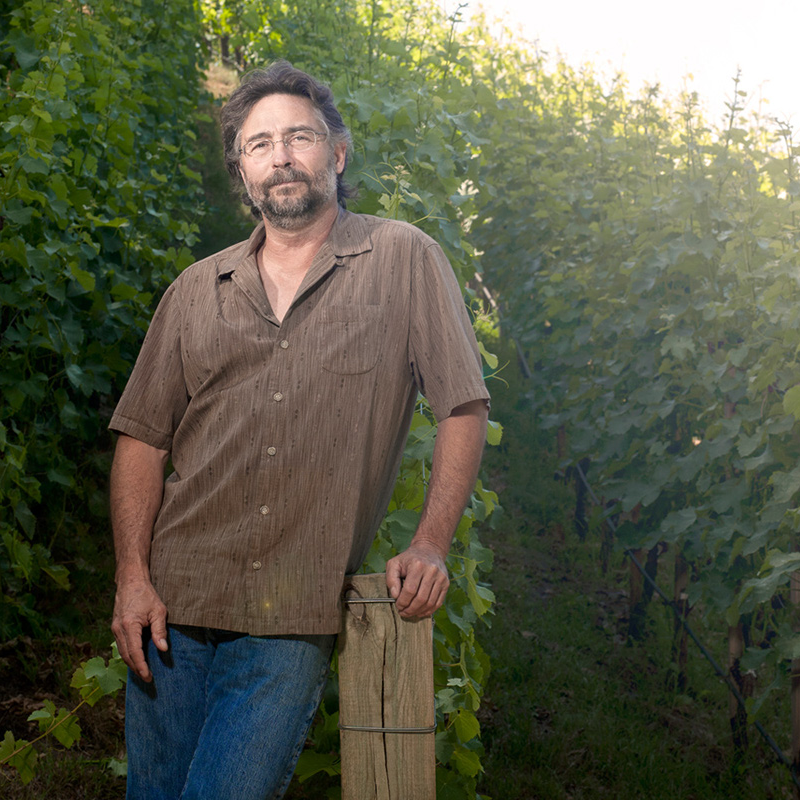 After retirement, they decided to use its hilly terrain to plant vines and make wine. Moraga Estate and was founded in 1978 when their first vines were planted. The first vintage wouldn't be until eleven years later, 1989. It was bought by Rupert Murdoch in 2013. I'm a bleeding heart liberal, a science embracer, and a godless heathen, so you can see that myself and Rupert have almost no common ground on anything. Except for wine, apparently. And isn't that a great thing about it? I mean, I really don't like anything this guy stands for at all. But we could sit down with a bottle of wine, talk about our love for the beverage, and probably have a wonderful time. 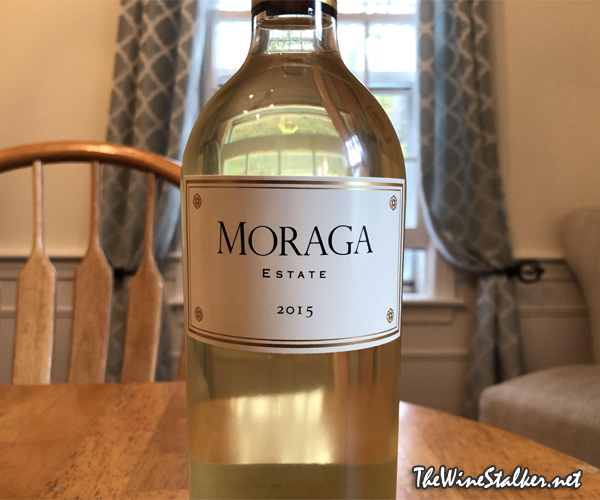 I'm reviewing two wines by Moraga. This is their 2015 White Wine, and then I'll review their 2013 Red Wine. Here's what Scott Rich, Moraga's winemaker says about 2015: "Moraga has never experienced a vintage quite like 2015. It was the fourth year of the drought in Bel Air and the combination of early season stress due to dry soils and cool weather during flowering in May left us with a crop that was only about half of normal. Although there wasn't a single heat event that stood out during the growing season, overall, it was an unusually warm year. A number of minor heat spikes in August accelerated the ripening process and we picked all of the Sauvignon blanc on August 24, nearly two weeks earlier than normal." Their white is 100% Sauvignon Blanc, with 20% seeing three weeks in new French oak and the remainder put in stainless steel barrels. No commercial yeast was used for fermentation; only the natural yeast from the vineyard. The wine spent eleven months on the lees and was not allowed to go through malolactic fermentation. I love the label because it's simple and attractive. It doesn't mess around at all and still looks stunning. The color of the wine is a vibrant gold-necklace yellow with silvery edges. By "gold-necklace yellow" I mean real gold, not the darker yellow color that we tend to think of when somebody says gold or golden. It's not golden like heavily oaked Chardonnays, for example. On the nose there's a cloud of smoke and sea salt hovering over the aromas of lemons, peaches and honeysuckle. It's pretty hefty in body weight for a Sauvignon Blanc, with a waxy mouthfeel and an acidity so perfectly and ridiculously balanced that you hardly notice it at all. There's flavors of lemon peel, peaches, green peppers, and asperin. Then it finishes hot with white pepper and lemon peel. Damn, man. This is niiiiiiiice! But here's the kicker... it will run you $110. Would I buy it for $110? Uh, no! There is no wine right now that would have me dropping $110. I've got a seven year old and a six month old. My priorities are elsewhere. But would I recommend this wine if somebody was looking to drop $110 on a white wine? Hell yeah, I would.